In this file photo, an Apple iPhone sits on a box on January 27, 2015 in San Anselmo, California. 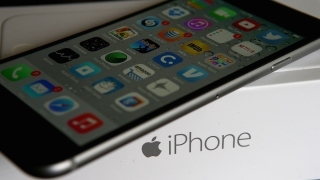 Apple recently sold its billionth iPhone, the Cupertino-based company announced in a blog post Wednesday. CEO Tim Cook made an appearance at an employee meeting Wednesday to celebrate the milestone, but he did not specify exactly when or where the billionth device was sold. He did thank Apple employees for making the iPhone "one of the most important, world-changing and successful products in history." "It's become more than a constant companion," Cook said. "iPhone is truly an essential part of our daily life and enables much of what we do throughout the day." 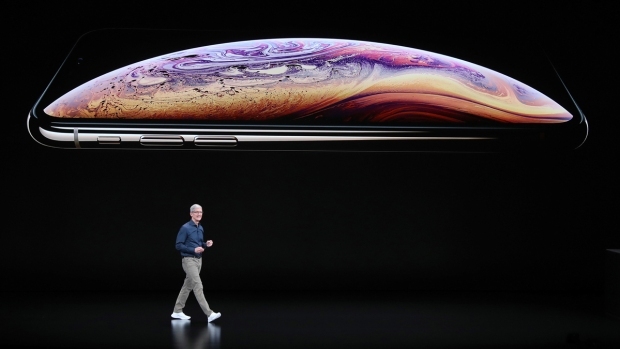 Cook added that Apple never set out to make the most, but it has always set out to "make the best products that make a difference." The iPhone launched in June 2007, and the millionth iPhone was sold less than three months later. Apple has since released a dozen renditions of the device and is poised to come out with the newest version, what some have dubbed iPhone 7, in September.